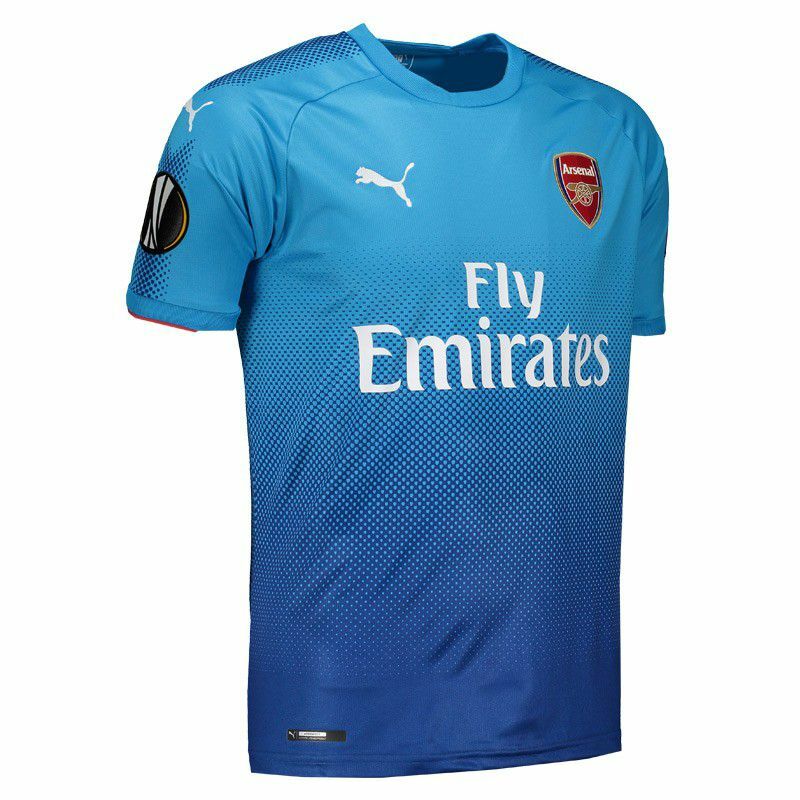 For the Arsenal fans, the shirt reserve for 2018 is perfect. 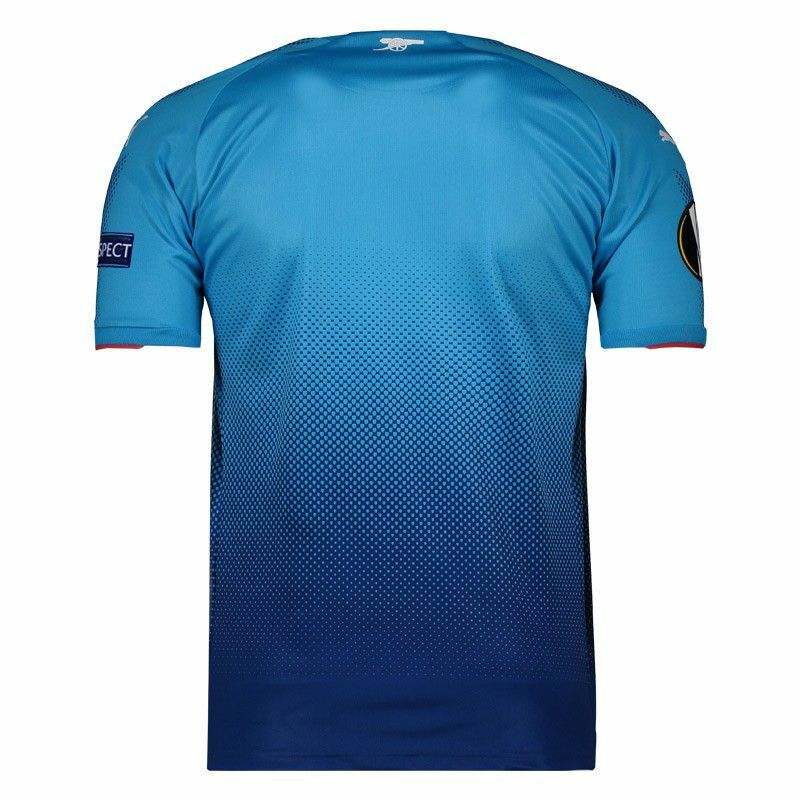 It offers name and number customization and brings the UEFA Europa League patches on vinyl set in the right sleeve and the opposing, Champions League patch. More info. 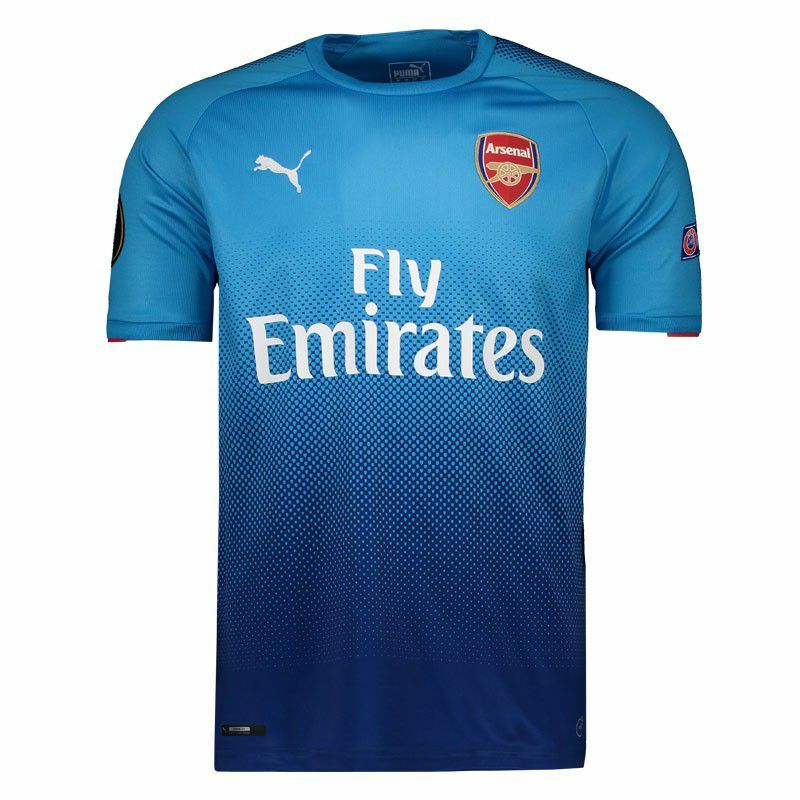 For the Arsenal fans, the shirt reserve for 2018 is perfect. 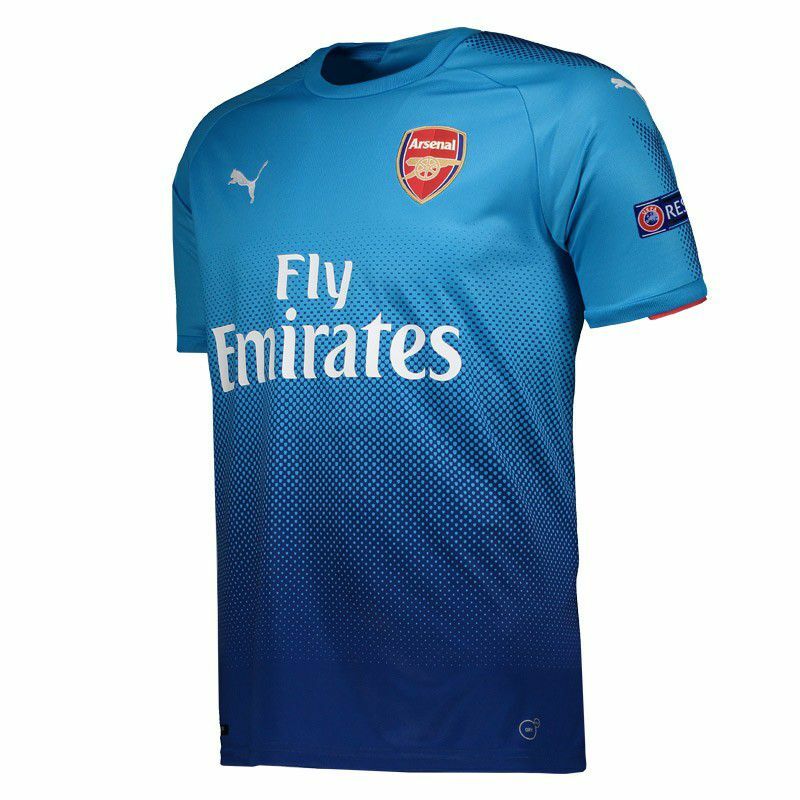 It offers name and number customization and brings the UEFA Europa League patches on vinyl set in the right sleeve and the opposing, Champions League patch. The piece is made of polyester and features Dry Cell technology, which contains functional materials that keeps the sweat away from the skin and keeps you dry and comfortable. Its design features a light blue color and a gradient look in the lower region, featuring polka dots ranging from light blue to navy tone. Same detail marks presence on the shoulders and sleeves. 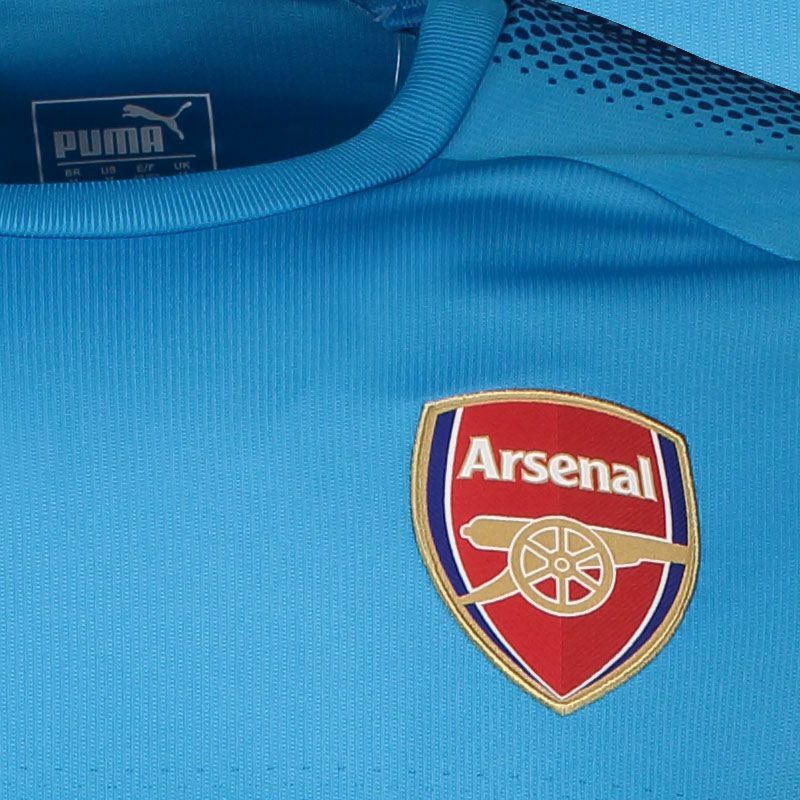 In addition, its collar is crew neck and the team's badge is seen embroidered on the left side of the chest, as well as the Puma logo, white on the right side. Finally, it has red details on the cuff of the sleeves, complementing the details, such as sponsorships.